Aww so cute!.. 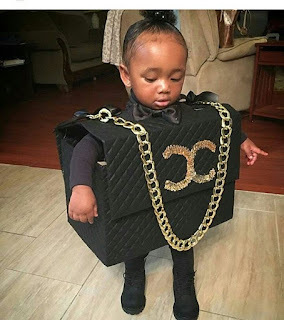 Little girl in channel bag Halloween costume. Cute, lovely, adorable, fragile and gorgeous looking... black is bae.